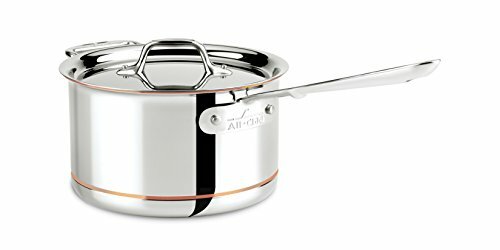 All-Clad Copper Core Sauce Pan, an essential part of any kitchen, sauce pans simmer, boil and warm food gently. A well equipped kitchen should have a variety of sizes for different uses. Easy-to-clean 18/10 stainless-steel interior helps prevent foods from sticking and will not react with foods. 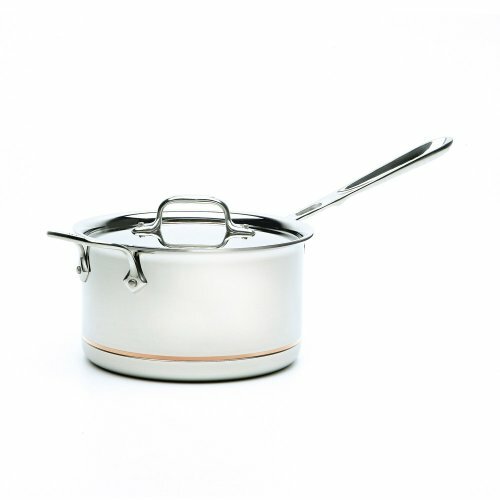 Stay-cool handles, permanently secured with non-corrosive rivets, provide premium durability and safer cooking. With its namesake copper core, heat is distributed evenly across the bottom, and all the way up the sides of the pan to prevent "hot spots" when cooking. Made in USA. Lifetime warranty. Size: 1.5 qt. model. Number: 6201.5 SS. 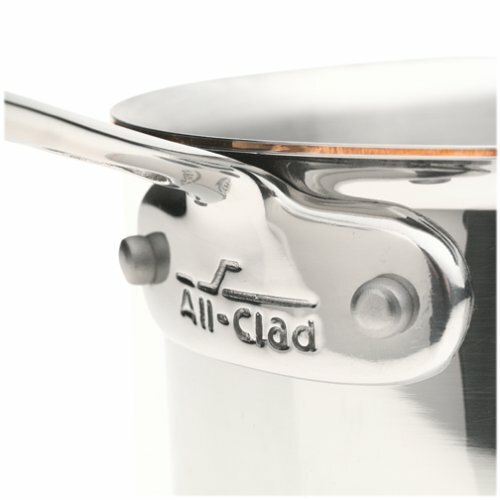 All-Clad's Copper-Core collection is the ultimate in cookware and the choice of many of the world's elite chefs and discriminating cooks. The exterior and interior of the pans are made of hand polished 18/10 stainless steel that provide the ideal cooking surface, are easy to clean and will not react with foods. The exterior has a striking copper "cut-away" design to display the inner layer of copper for aesthetic appeal. 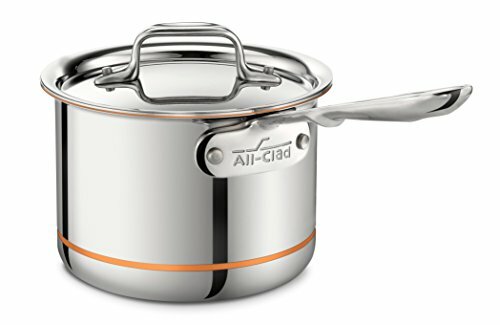 Key to the superior performance of All-Clad's Copper-Core collection is the cookware's namesake copper core at the center of each piece to guarantee maximum and even heat conductivity. Long upright handles stay cool and are ergonomically designed to provide balance, control and comfort.